As Queenslanders, we are fortunate that the state rail authority (Queensland Rail) has been proactive in restoring and maintaining historical locomotives. Regular operation and charter of these engines by a number of dedicated organizations ensure the enthusiast has the chance to travel behind one or more of these magnificent powerhouses. 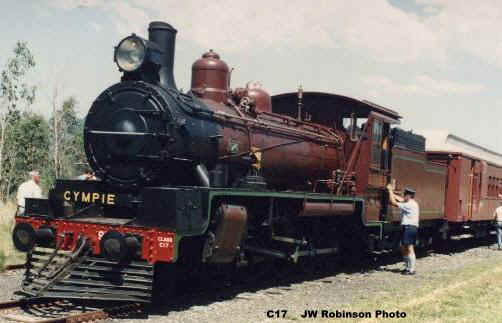 This page contains images of Queensland Rail Historical Locomotives. Included are PB15, C17, DD17, AC16, A10 and Beyer-Garrett Locomotives. Click on the thumbnail to view more photos and additional information about each loco. These pacific class engines were typically used for mainline passenger operations. These articulated engines were largely used for heavy haulage of good trains in the central Queensland region. The additional water tank at the front not only provided extra capacity but assisted in providing adhesion for the front set of driving wheels. The C17 locomotives were predominantly goods locos. The PB-15 locomotives are a passenger variant of the B-15 locomotives. These engines were largely used on branch and suburban lines. The DD17 is a tank engine (like Thomas) in that water is carried in side saddle tanks on either side of the boiler. The DD17 was typically used on suburban passenger trains. 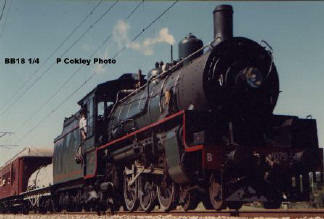 AC16 locomotives were supplied to Queensland by the United States during WWII as part of a "lend lease" program. A large number were purchased by the government following the end of the war. 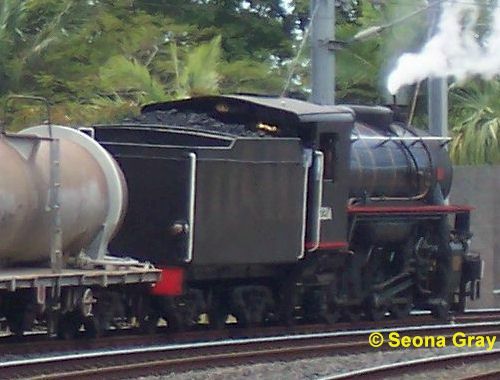 One of Queensland's original steam locomotives.